Jack's Sister in the Village Scene. I accepted the challenge from the internet to find Jack's sister in the prologue village scene. And sure enough, there Emma (that's her name out of the novel) was talking to a man next to a fire pit. BUT then I found two older Emma look-alikes!. 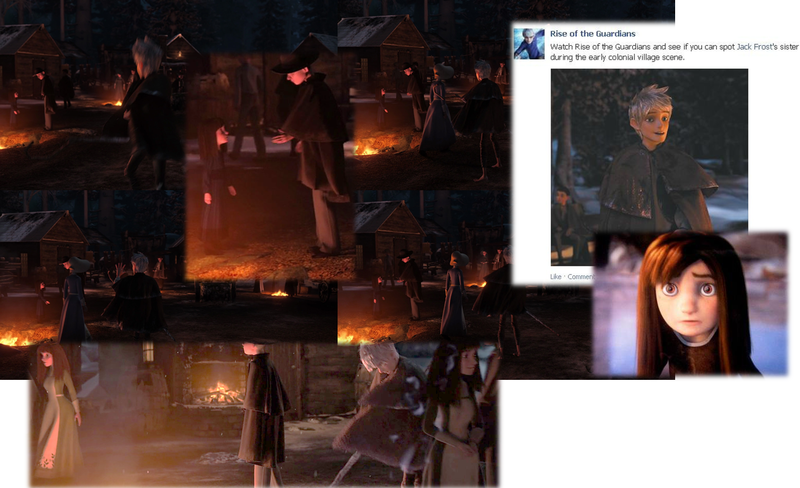 HD Wallpaper and background images in the Rise of the Guardians club tagged: rise of the guardians jack frost prologue jack's sister emma pippa. I accepted the challenge from the internet to find Jack's sister in the prologue village scene. And sure enough, there Emma (that's her name out of the novel) was talking to a man next to a fire pit. BUT then I found two older Emma look-alikes! 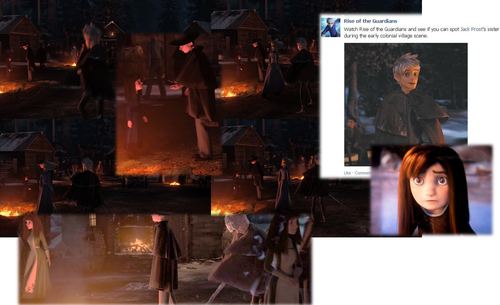 This Rise of the Guardians photo might contain concert. Hmmm, it's kinda blurry, but I can make out a teen that looks like her. Is that Emma? ^You can see Emma (at the age in the movie) talking to some man or something, but there are two 'teen-Emma-lookalikes' in the village scene's as well...? I don't know, maybe they're Jack's relatives or something, or an older Emma.